If your air conditioning system requires re-gas to improve the cooling temperature, our trained technicians safely remove the existing gas, carry out a pressure test to check the system for any leaks before refilling with fresh gas which improves the cooling and heating performance. Dacia trained technicians & genuine parts - using the right tools for the job. Air-conditioning (or air-con) is not just for comfort. By keeping the cabin temperature cool in summer, air-conditioning contributes to driver alertness and therefore driving safety too. It’s a year round benefit - during winter months air-conditioning helps heat up a cabin to defrost windows quickly, to get you on your way. It also clears mist from the inside of the windscreen quickly to give you a safe view of the road ahead. Dacia recommend re-gassing the air-conditioning system every 4 years for Dacia cars, this service involves safely removing the existing gas, carrying out a pressure test on the air-conditioning system (to check for air-conditioning system leaks) before refilling with fresh gas which will improve cooling and heating performance. A pollen filter is fitted between the air conditioning unit and the cabin. The filter removes particles in the air including pollen, exhaust fumes, dust and more. These particles are trapped in the pollen filter – preventing them entering the cabin. 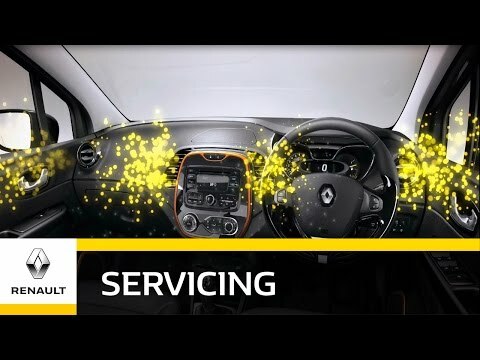 Dacia recommends changing the pollen filter every 2 years, and that it is checked when the air-conditioning system is re-gassed. A new pollen filter allows air to pass through it quickly. A used filter in need or replacement will appear dirty and may restrict the flow of air through the filter. Replacing the pollen filter allows air in to the cabin quickly, and places less strain on the air-conditioning system. Always be sure to use Dacia filters which give a long life, excellent filtration and air quality.